Julia Jones has been working with adolescents and college admissions for most of her career. She was involved in virtually all aspects of the admissions process at Brandeis University, including overseeing the creation and production of admissions publications and recruitment materials and serving as director of the Brandeis Alumni Admissions Council, a 1000-member network of alumni recruiters and interviewers. During her tenure at Brandeis, Julia also was a member of the New England Association of College Admission Counseling (NEACAC) and served on the planning committees for three NEACAC annual conferences. More recently, she continued to work with high school students and their families as director of admissions at Chapel Hill-Chauncy Hall School in Waltham, MA. 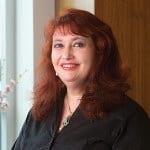 Julia holds a bachelor’s degree in French language and literature from Brandeis University, and a master’s degree in education in creative arts in learning from Lesley University.